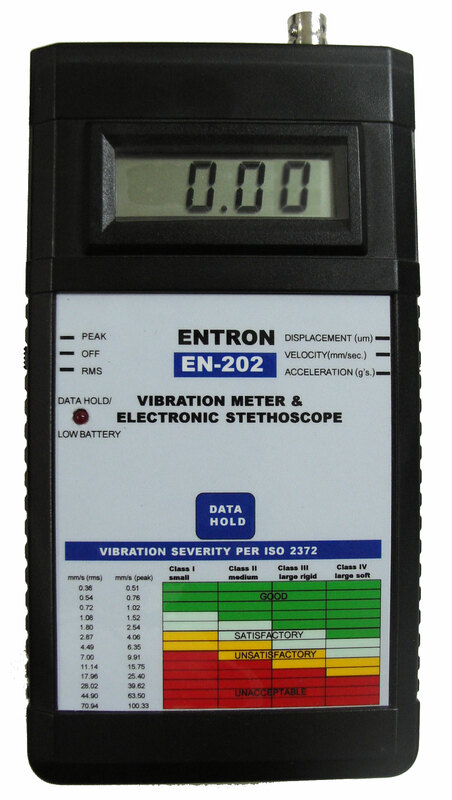 EN-200 Overall vibration meter and electronic stethoscope is the ideal tool for cost effective predictive maintenance. 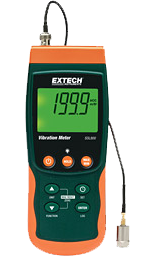 This meter is simple to operate with only two switches on either side of the meter. Diesel and Fleet Maintenance,roller bearing, rotating Machines, Electrical,Asphalt, Measure Ink and Dryer Temp. (Screen Printing),HVAC/R Automotive, In-Process Temperature Measurement,Fire And Safety,Plastics Molding, Marine and RV, Food Safety. อัตราเร่ง: 0 ~ 20 G’s (peak). ความเร็ว: 0 ~ 200 mm/s (peak). · Accuracy All Ranges: ± 1% + 3 LSD. · Frequency Ranges: 5 ~ 10,000 Hz. 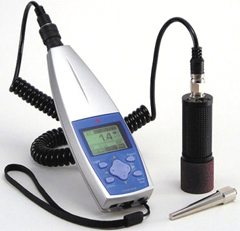 -Vibration can be actually heard with your own ear, aiming at the pinpoint spot in question. 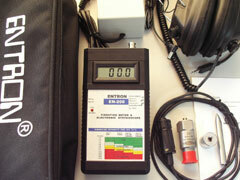 This is the time of the maintenance of facilities, by watching, hearing and measuring the vibration. -Compact design, light weight i.e., approx. 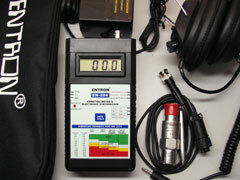 130g (Including batteries), that demonstrates power on the site of the measurement. -Single hand operation is possible just like a cellular phone. -Built in Memory for max. 256 data. -Built-in serial interface, enabling rapid data processing on your PC. 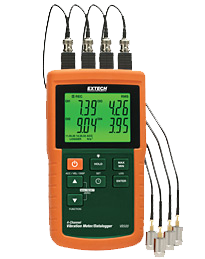 -Restart the measurement with the last condition set up and stored just before the power-off. -The output to an exclusive printer is possible. Optional Windows Software and Serial RS232 Cable.